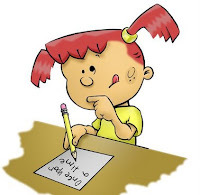 Today is Girls Write Now Day! Girls Write Now Day was established in conjunction with International Working Women Day to encourage girls around the world to express themselves through the power of the pen. It is hoped that through this creative movement, girls everywhere will be celebrated for the unique and wonderful individuals they are; and to help them understand that their voice, whether written or spoken, holds power and significance. SO does your daughter or granddaughter keep a journal? My oldest granddaughter Kelsi is 14 and keeps a diary. Her sister Kenzie is 10 and maybe it's time I bought her a journal and fancy pen to start jotting down her own thoughts. And what about you? Do you keep a journal? Het Hey We're the Monkees and People Think we Monkey around..... Most of my friends were madly in love with Davy Jones in the 70s.... not me.. I was in love with Mickey Dolenz who is 65 today. WOW, that means I am old! 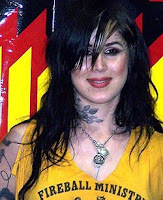 Kat Von D (real name Katherine Drachenberg) is 28. I would LOVE for her to tattoo me.